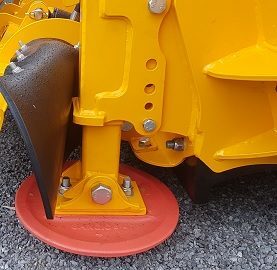 Adjustable skid shoes help to prevent excessive wear of the blades on the surfaced roads and on the gravel roads. The set includes a skid shoe with hard alloy plate and an adjustment mechanism. When using the skid shoe it has to be verified that it does not wear off too quickly since the sole may break and fall off. 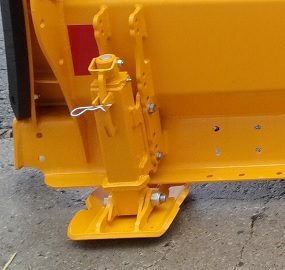 After adjustment of the skid shoe, do not forget to install the handle splint to ensure that the skid shoe remains in the desired position.